Hofmann Landscaping and Lawn Care is committed to providing friendly and professional service while going above and beyond the call of duty on the needs of your property. We are a fully bonded and insured company that services both commercial and residential clients through a large variety of lawn and landscape services. If you are looking for a reliable company that will take care of your lawn maintenance like they would their own then you have come to the right place. You won’t have to worry anymore about whether or not a crew will show up before your lawn gets too tall or if they will come on Friday one week and then the following Monday charging you twice for the same job. We can give you your time back without the worry of an inconsistent maintenance crew. By operating on a set schedule for our routine lawn care clients, you can be sure exactly when the job will be done and what you will be getting. 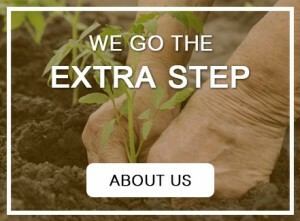 We want to work with you for all of your landscaping, cleanup needs and much more. We offer many different services and will work with you every step of the way to create the look that you want and deserve. We will work hard to make a beautiful outdoor space for you or your business. Contact us to get a free estimate today!